In Florida, becoming a parent comes with certain rights. For instance, unless there is evidence of abuse or neglect, parents have the right to visitation with their children. There are also, however, specific obligations that go hand in hand with parenthood, including providing financial support to one’s minor children. 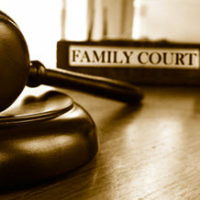 This obligation does not cease once a couple decides to get divorced, so when a couple decides to divorce, or otherwise initiates custody proceedings, courts may order the non-custodial parent to pay a certain amount in child support every month. Parents who are ordered to pay child support, but who fail to do so, could face serious consequences, so it is important for couples who are in the midst of custody proceedings, to have a thorough understanding of Florida family law. To learn more about your own potential child support obligation, please contact our dedicated child support legal team today. A divorce does not end a parent’s obligation to continue to pay for the support of his or her children, regardless of the custody arrangement. There is an expectation, however, that children will eventually grow up, at which point, they will be able to support themselves. Legally speaking, this means that in most cases, when a child turns 18 years old, his or her parents are no longer required to abide by the terms of their child support agreement and do not have to make monthly payments for their support. Although most parents are no longer required to pay child support after their children reach the age of 18 years old, there are a number of exceptions in Florida, under which, a parent could still be obligated to pay child support, even after a child reaches the age of majority. For instance, under Florida law, a parent’s child support obligation can be legally extended until the child turns 19 years old. However, this is only possible when the child is still in the process of completing his or her high school education. If a child is definitely not on track to graduate before turning 19 years old, then he or she will most likely not qualify for this exception. Otherwise, once the child turns 19 years old, or graduates from high school, this obligation will end. Alternatively, if a child has a mental or physical incapacity that began prior to that person’s reaching the age of majority, that makes it impossible for him or her to become self-supporting, the child’s parents could be required to provide a means of financial support, or to pay child support on a permanent basis. 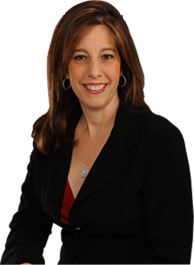 To speak with experienced Florida child support attorney Sandra Bonfiglio, P.A. about your own parental rights and obligations, please call 954-945-7591 or complete one of our brief online contact forms. Initial consultations are offered free of charge, so please don’t hesitate to call or contact us online with your child support-related questions and concerns today.